Willie Farley, 77, of Indian Creek, died March 28 at Hazard Appalachian Regional Healthcare Center. 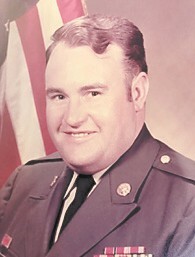 A son of the late Melvin and Vira Farley, he was born in Harts, W.Va.
Mr. Farley served in the Army from 1967 to 1975 and covered two tours in Vietnam and Korea. He was baptized at Millstone Missionary Baptist Church. Surviving are his wife, Lavinia Sergent Farley; a son, David Farley and wife Heather of Indian Creek; a daughter: DeLee Collier and husband Jason of Waco; a sister, Jane Carter and husband Jimmy of Chapmansville, W.Va.; a brother, Doug Farley of Harts, W.Va.; a granddaughter, Alexis Farley; and three grandsons, Joshua, Colton, and Kaiden Collier. He was preceded in death by four sisters, Lucille Mullins, Verdie Maynard, Rachel Farley, and Pearl Johnson, and two brothers, Howard Adkins and Melvin Farley Jr.
Funeral services were held April 1 at Letcher Funeral Home. Burial was in the Sergent Cemetery at Indian Creek.